One Eternal Day: "Too well-educated to criticize..."
Some otherwise bright people have indicated their puzzlement with that axiom but it seems to me, well, axiomatic. Orthodoxy, no matter how politely expressed, suggests that there is a right and a wrong, a true and a false, about things. When orthodoxy is optional, it is admitted under a rule of liberal tolerance that cannot help but be intolerant of talk about right and wrong, true and false. [emphasis added] It is therefore a conditional admission, depending upon orthodoxy’s good behavior. The orthodox may be permitted to believe this or that and to do this or that as a matter of sufferance, allowing them to indulge their inclination, preference, or personal taste. But it is an intolerable violation of the etiquette by which one is tolerated if one has the effrontery to propose that this or that is normative for others. 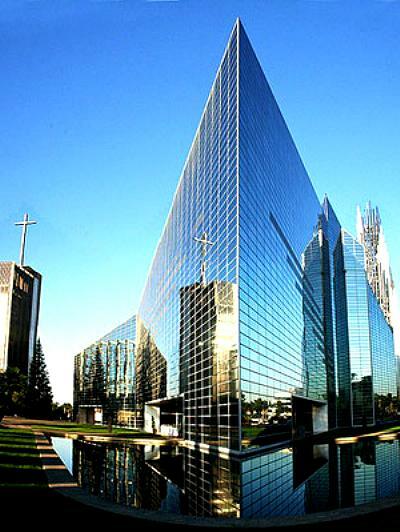 Crystal Cathedral ministries believes that it is important to teach and model the biblical view. I understand that Crystal Cathedral Ministries teaches that sexual intimacy is intended by God to only be within the bonds of marriage, between one man and one woman. “I have a reputation worldwide of being tolerant of all people and their views,” he told the Orange County Register.